The French quite rightly make the proud boast of having invented cinema. The Lumière Brothers from Lyon are the fathers of cinema. In reality it could have been so different. Thomas Edison in the States and in the UK William Friese-Greene, amongst many others, had come very close to being the first people to project moving images in front of an audience. The race was neck and neck but on December 28, 1895, at the Salon Indien du Grand Café in Paris a programme of ten short films, including Workers leaving a Factory was presented. The movies had been born! Over the next twenty years France led the world in technology, inventiveness and business. Pathé-Frères became the biggest film company in the world, manufacturing equipment and making films in factories and studios all over the world. They invented newsreels, employed thousands of people, including hundreds of women to hand colour the black and white film of the time. Despite its very chequered history Pathé has survived in one form or another to this day. And Gaumont were not far behind. French cinema dominated the world from Moscow to New York. But by 1919 only 10 to 15 percent of films being screened in Paris cinemas were French. The French had become the also-rans. American cinema, locating itself to some empty ranchland in California called Hollywood, had become dominant. How did this happen? There are a lot of reasons, the film business is notoriously fickle after all, with the might of the US market being one factor, but a key moment came in August 1914 when war broke out with Germany. 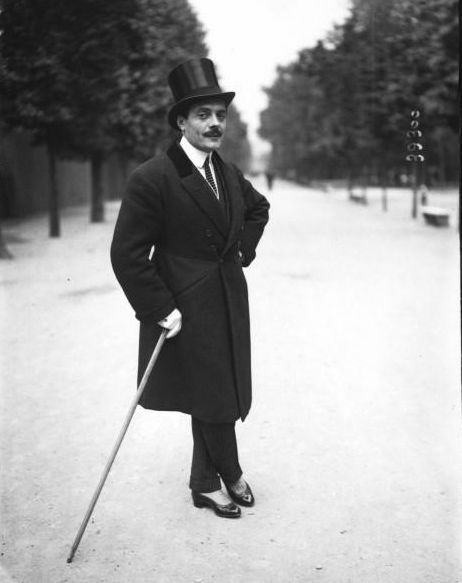 French filmmaking, riding high with world famous stars such as Max Linder, a strong rival to Chaplin, came to an abrupt halt. With mobilization of working men there was a mass exodus to the armed forces, with even Max Linder doing his bit as a driver. The studios and factories were taken over for military use. The cinemas closed down as the country prepared for what they expected to be a short and victorious war with cries of “All over by Christmas’ and ‘To Berlin’. It was not to be, the war proved a disaster with the front inching slowly closer to Paris, and gradually the French government and dormant film industry re-awakened to the need to entertain and provide propaganda material. Without active French studios American material had started filling the gap, and in the world of ‘silent’ movies Buster Keaton, or Charlie Chaplin, renamed ‘Charlot’ for the French audiences, proved just as appealing. Despite a belated fight back by the French industry the amount of American product increased inexorably. They had learnt from the French studios how to produce films of high quality including popular weekly serials, and by 1917, 50 per cent of films shown in Paris were American. Max Linder, despite attempted comebacks, had been eclipsed. He later died in a suicide pact with his wife, another victim of the war and a symbol of the decline of the French film industry.